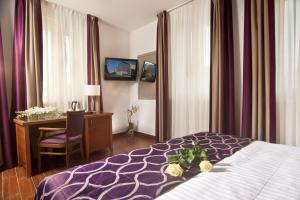 This 3-star hotel is located in the centre of Prague, a 15-minute walk from Wenceslas Square and 5 minutes on foot from the Namesti Miru underground station. 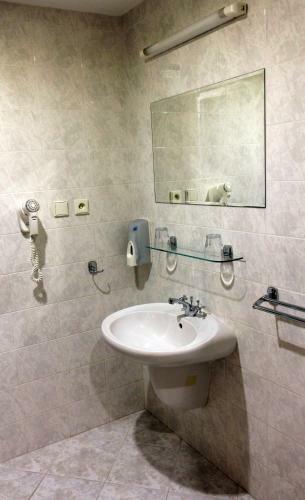 The spacious and quiet rooms at Hotel Abri have a TV and a bathroom. 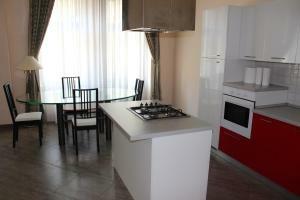 Czech and international cuisine is served in the Abri’s restaurant. There is a 24-hour reception with a tour desk and an internet terminal. 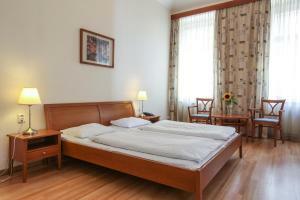 The hotel is located in the peaceful residential district of Vinohrady. 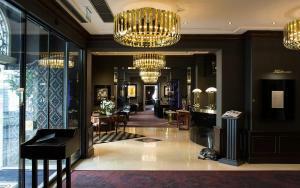 Le Palais Art Hotel Prague price per day from €146 Renovated in 2014, the luxury 5-star boutique hotel Le Palais Art Hotel Prague, built as a residential palace in 1897, is one of the finest examples of Belle Époque architecture in the city. 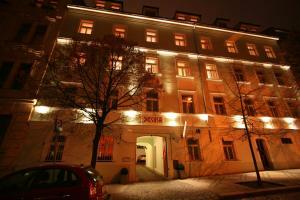 The hotel is located in an exclusive residential area Vinohrady, within a 15-minute walk of Wenceslas Square. Guests can also benefit from a seasonal special offer available for massages at the hotel's wellness centre Pure Spa. 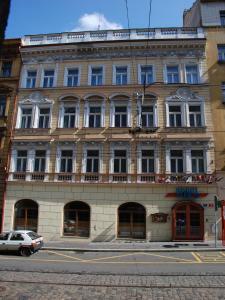 Restaurant U Bile Kravy, Prague Guest reviews: 9,4/10 ~ 0,8 km from Abri Hotel Address: Rubesova 10, Praha 2, 120 00, Prague. Cuisine: French. 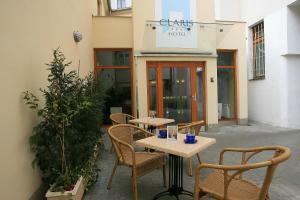 Restaurant The Alcron, Prague Guest reviews: 9,4/10 ~ 1,3 km from Abri Hotel Address: Stepanska 40, 110 00, Prague. 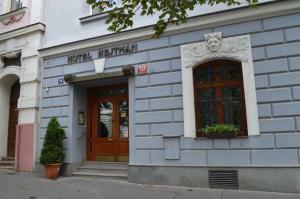 Restaurant U Kroka, Prague Guest reviews: 7,4/10 ~ 1,6 km from Abri Hotel Address: Vratislavova 12, 12800, Prague. Cuisine: Czech. 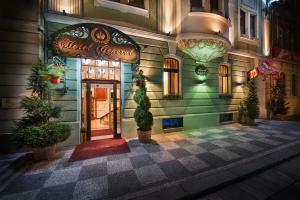 Restaurant Estrella, Prague Guest reviews: 9,4/10 ~ 1,7 km from Abri Hotel Address: Opatovicka 17, Prague. Cuisine: Vegetarian. 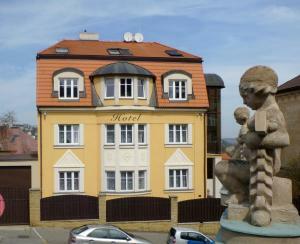 Restaurant Indian Jewel, Prague Guest reviews: 7,2/10 ~ 2,1 km from Abri Hotel Address: Tyn 6, 11000, Prague. Cuisine: Indian.